I saw these floating around the web a couple of weeks ago and knew I had to make them. 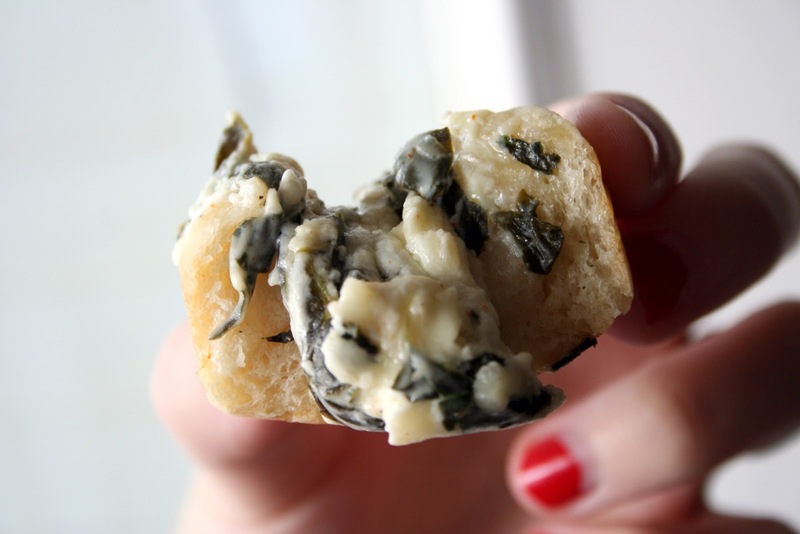 I LOVE spinach dip and having said "dip" conveniently placed in a pocket of bread sounded like a brilliant idea. And a brilliant idea it is. 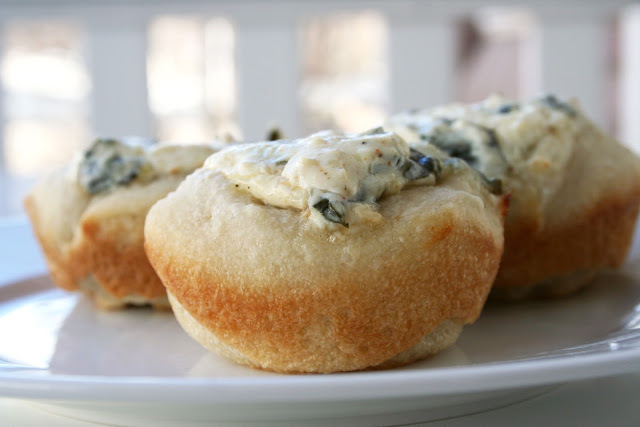 These were fantastic and would make a perfect appetizer at a party or shower. Warm, gooey and delicious. It doesn't get better than this. 2. Heat oil in medium skillet over medium heat. Cook and stir spinach until wilted, about 3 minutes. Add garlic then cook and stir for another minute. Remove from heat. 3. 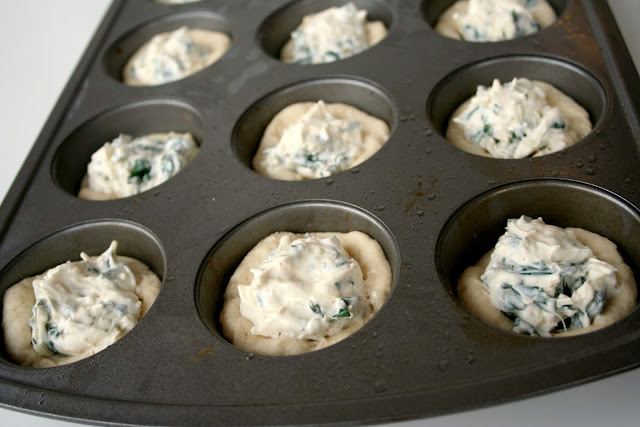 Place cream cheese, sour cream, cooked spinach and garlic, Parmesan cheese, cayenne pepper, garlic salt, salt and pepper into a medium bowl. Mix until well combined. 4. With a medium cookie scoop, scoop dip into center of each bread bowl. Top evenly with shredded cheese and bake for 15-17 minutes until just turning brown on edges. Remove and let cool for 3-5 minutes before eating.